When tragedies happen like that in Boston, I am never good at putting into words how I feel. As someone with anxiety, it is hard not to dwell on it. To research to try to find an answer. Or wonder what would have happened if I was there. I am not here to put out the statistics, or the latest news, I want the positive to be seen. I saw this photo and thought it was perfect for that day, there are always helpers. I also came across this video going around Facebook last night. I have been to many sporting events and I have NEVER heard The National Anthem sung with so much passion and heart. Boston, We Lift You Up. You might have already watched this new Kmart commercial making its rounds, but I can't keep from laughing each time I see it. Lately I have been doing some updates on the blog. I wanted to make it more user friendly. I know I haven't posted many tutorials lately but I am hoping when the house stuff winds down I will get back to crafting! I decided to add a few new widgets to the page, 2 of them are for Pinterest. I never thought I would be so excited as to when we ran out of dish detergent. Around here, we go through A LOT. With all of the dishes Eliza uses a day and the interesting way Mark loads the dishwasher, we run it almost everyday. Side note...he is willing to load and run the dishwasher...I'm not complaining on how he does it! When I wrote this post about the different cleaning supplies I found I decided to search for dish detergent too. I found a lot of different ways but this one was my favorite from Off Beat Home & Life. 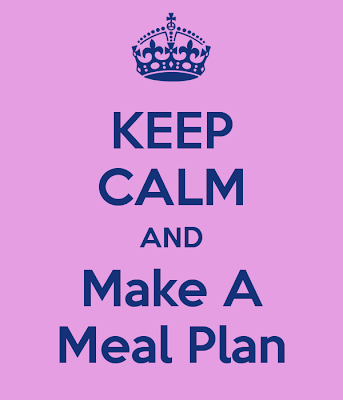 It is super simple and quick. No liquids, all powders, and all stuff I already had from the other cleaning supplies I planned to make. I went for it tonight when Mark said the dish detergent was all gone. It MAYBE took me 5 minutes to make, and that was only because I had a little helper. I omitted the salt as we do not have hard water and I went with the Kool-Aid for the citric acid. Walmart carries a generic brand for only a couple cents so I grabbed that. I had this cute glass jar from Walmart as well, perfect for the detergent. This is double dose of everything, my jar is pretty big. Don't mind my atrocious hand writing. I tossed all of it together and gave it a good shake. Since there are a few ingredients you need to add in addition to the powder I decided to write them and tape them to the top. I didn't want to have to do it by memory, or here Mark say "what else do I add?" every night. You need to add 3 DROPS of dish soap to the mix in the dishwasher and then 1/2-1C of vinegar to the bottom of your dishwasher. You don't have to do the vinegar but I have done it when our dishes are pretty dingy and it has always helped. So that is it! I stored it all right under the sink next to the dishwasher. We will just use the tablespoon to measure it out then toss it in the dishwasher to run for the night. Easy-Peasy! The dishes are going as I type this...I have even opened it twice to make sure the dish soap wasn't making it bubble up too much. So far so good! 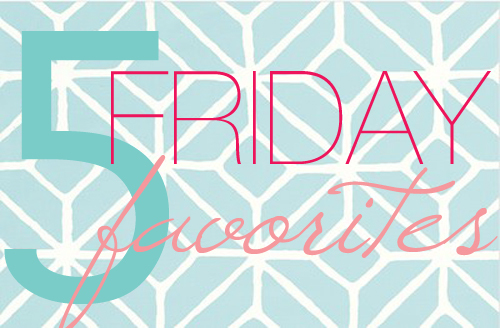 Lots of favorites this week, lets narrow it down to 5! 1. Lets start with this weather forecast!! OK, it might look a little soggy but hey, at least it isn't snow!!! I know there will be warm sunny weather soon! 3. I love Six Sisters Stuff. They always have the best recipes and crafts. Whenever I am stumped on dinner I go to their Recipe Index and search with what meat I have to use...usually chicken. 4. I got to go back to one of my favorite places this week Ford Field. The Detroit Lions had a Town Hall meeting for season ticket holders. They discussed what they expect from the upcoming season and took questions. It was a great time. The best part? Free food and meeting a few players!! 5. Of course, how I always end my Friday Favorites, my precious pumpkin pie!! Well, unfortunately...there is no house update. We are just sitting here waiting and waiting. The frost laws are still on in some of the counties so no way to get the machines in the neighborhood. We are hoping within the next week we will be able to start digging. I can't wait to see it all begin! 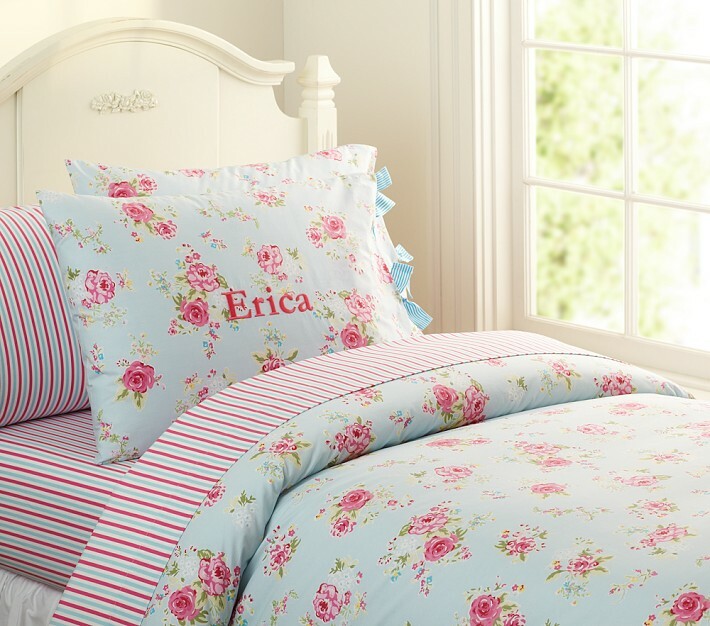 One good thing that has happened with the house, I got Eliza's bedding!! I found it on Ebay last night SUPER cheap. I have been searching forever and almost went and bought it at the store, glad I held out! Unfortunately, I haven't been able to find her bedroom set on CraigsList. I have found a lot of them on there that are cute, but nothing that I really LOVE. I was able to find a better deal on the bed set that I want, but it is still pretty expensive. I think I will start collecting donations and returning bottles. A few other things we have picked. 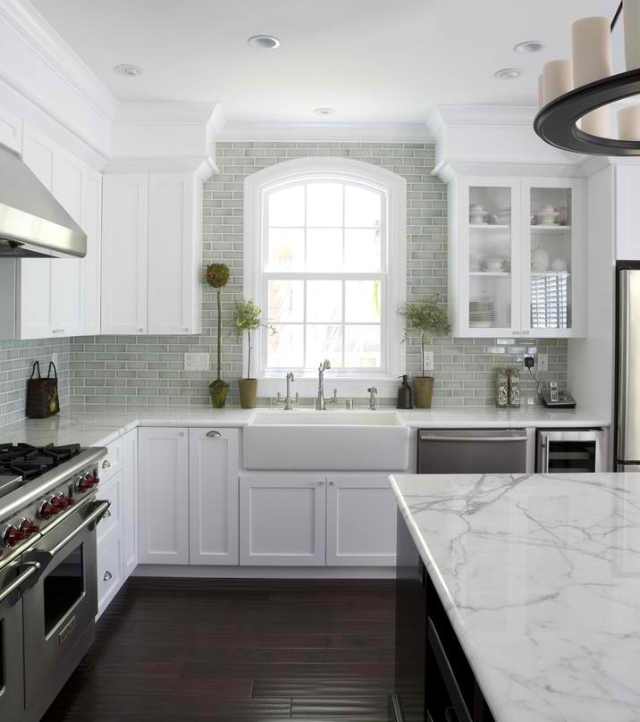 This kitchen, it is my dream, especially the sink!! The floors will be dark and the cabinets will be white. Love it. Our builder sent me this photo last week. 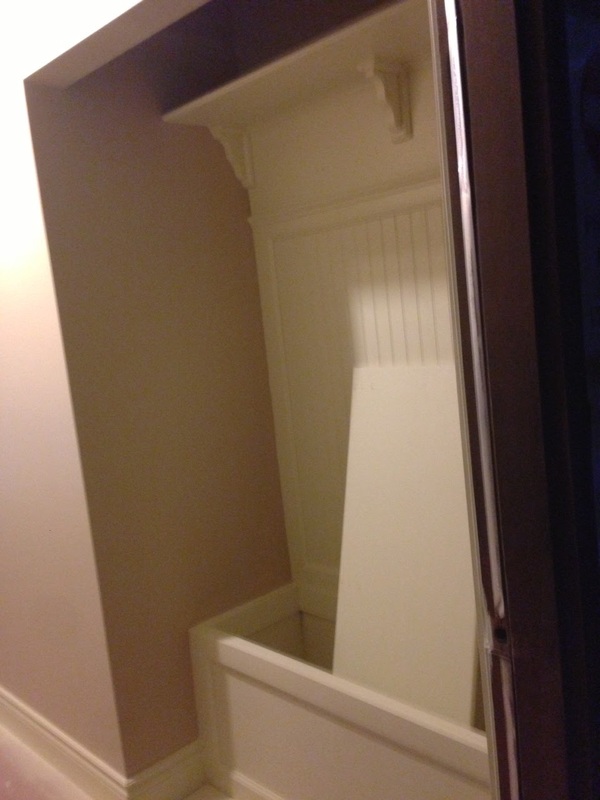 He is doing a house in another city right now and is working on the mudroom storage. Ours will be similar to this, but finished :) We will have a bench for the kids to toss all their stuff in and hooks for them to hang coats and backpacks. The top will have an area for baskets to store more stuff. Hopefully we will have new photos next week of the property...with a big hole in it!! What are you making this week? Where do you find most of your new recipes? I would love any and all suggestions. I am joining in on the SUYL Kids Books over at Kellys Korner today. Mine is a little different, these are books about raising kids vs reading them to kids. I feel this is why Eliza is able to be such an independent girl. I taught her how to rely on herself and how to soothe herself for a very young age. She doesn't need me to soothe her, rock her, or sing her back to sleep. All she needs is herself. I have talked about The Wonder Weeks a few times on my blog. "The Wonder Weeks. How to stimulate your baby's mental development and help him turn his 10 predictable, great, fussy phases into magical leaps forward" describes in easy-to-understand terms the incredible developmental changes and regression periods that all babies go through during the first 20 months of their lives. The extended, white cover edition describes 2 more leaps in the mental development of your baby up to the end of the sensorimotor period. 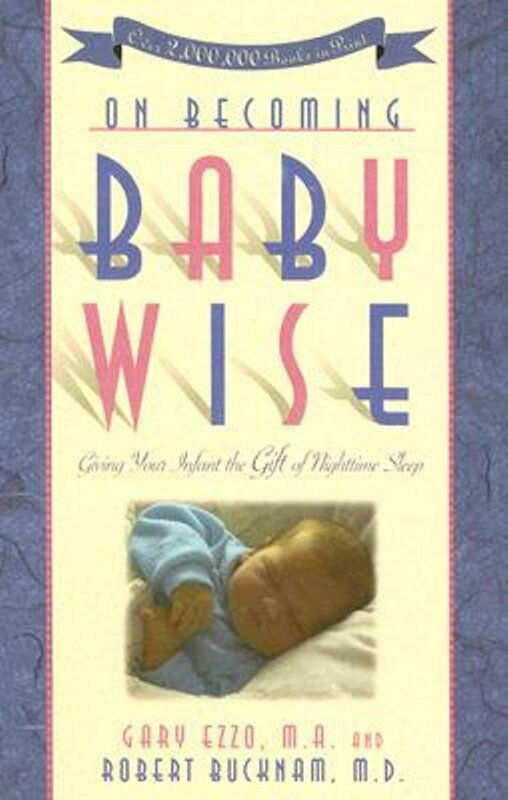 The book offers guidance how to ...: • Know when and why your baby is fussy • Help him/her (and yourself!) get through / survive the fussy phases • Get the most out of these developmental phases The book is based on the scientific- and parental-world-changing discovery of a phenomenon: all normal, healthy babies appear to be more fussy at very nearly the same ages, regression periods, and sleep less in these phases. A worldwide bestseller and sanity savior for parents around the globe. These age-related fluctuations in need for body contact and attention (regression periods) are related to major and quite dramatic changes in the brains of the children. These changes enable a baby to enter a whole new perceptual world and, as a consequence, to learn many new skills. This should be a reason for celebration, but as far as the baby is concerned these changes are bewildering. He's taken aback -- everything has changed overnight. It is as if he has woken up on a strange planet. The book includes: • Week-by-week guide to baby's behavior • When to expect the fussy behavior, what this implies (cranky, clingy, crying (the three C's) behavior) and how to deal with these regression periods (leaps) • A description from your baby's perspective of the world around him and how you can understand the changes he's going through • Fun games and gentle activities you can do with your child For more detailed information about contents and the research behind the book, please visit www.thewonderweeks.com Expert reviews: ---“This is a very practical and entertaining window into the baby’s first year and a half. van de Rijt and Plooij have observed and found the vulnerable times in an infant’s development that I independently came to in my book Touchpoints (Perseus). The authors’ observations and practical suggestions are wonderful.” (T. Berry Brazelton, M.D., professor emeritus, Harvard Medical School). ---“Anyone who deals with infants and young children will want to read 'The Wonder Weeks.' This book will open parents’ eyes to aspects of their children’s growth, development, changing behavior, and emotional responsiveness that they might otherwise not notice or find puzzling and distressing.” (Catherine Snow, Ph.D., Shattuck Professor of Education, Harvard Graduate School of Education). ---“van de Rijt and Plooij’s work on infant development has enormous value for clinical use and scientific application. Not only have they explained the periods of puzzling, difficult behavior in infancy which so worry parents, they have also shown how these behaviors mark developmental leaps and have described the stages in the infant’s understanding. Together, this gives parents and professionals soundly based insight into babies’ developing minds. What’s more, van de Rijt and Plooij have described the play and communication that work best with babies at different ages and thus helped parents understand and connect sensitively with their babies. This parent-child connection is the major prerequisite for the development of secure, well-adjusted children. 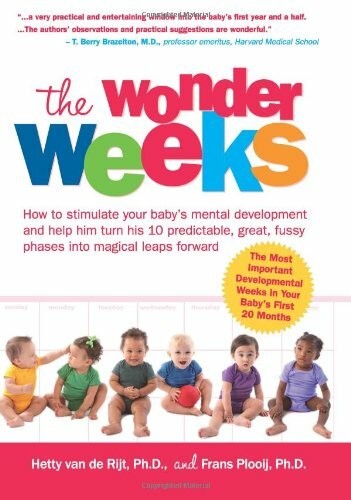 'The Wonder Weeks' is essential reading for everyone who works with infants: pediatricians, social workers, psychologists, and, of course, parents.” (John Richer, Ph.D., Dip. Clin. Psychol., consultant clinical psychologist and Head of Pediatric Psychology, Department of Pediatrics, John Radcliffe Hospital, Oxford, England). I feel The Wonder Weeks really helped me understand Eliza. As a new parent you sit and wonder what is wrong with every cry. This book teaches you, sometimes they just need to cry. They might not have the solution but at least you know the reason. During the babies first year there are many leaps their bodies make that can effect their behavior. This book will alert you when to expect these leaps to come and go. So those are my two favorite books for baby. I am not sure how I would have survived the first year without them! I thought I would do something different this week. I don't have many pictures of myself from when I was little at my house, so I decided to do some of Eliza. Yes, she is only 2 so it isn't too far of a throwback, but she is just too cute! I am so thankful that I was picture crazy!! These times went by so fast, I don't even remember her without hair or a round little face! We started off this beautiful weekend with some egg decorating. We let Eliza dye the eggs this year herself. Last year was a fail as I bought brown eggs...those don't dye. I got her a Disney Princess kit with stickers to decorate the eggs, she loved it. We did Easter morning a little different this year. Eliza loved the Easter Egg Hunt at our local church so much, we decided to do one here. We put her gifts out, instead of in her basket. We made a trail of eggs from her room to her gifts. When she woke up in the morning she found her basket and eggs in her room. She then followed the trail of eggs to her prizes. It was SO much fun. She loved it. We actually might continue it like this. Waking up and seeing her eggs! We hung out for most of the day and then headed to Easter Brunch. We did this last year and also do it for Christmas so it is part of our tradition. Just like last year, we headed to our local petting farm after brunch. The weather was PERFECT. We had such a great weekend. I am so thankful the weather is warming up. We needed out of this house!